Dutch painter. He joined the Guild of St Luke in Leiden in 1658. Later, he became court painter to the Great Elector in Berlin. Then he returned to his native town of Gouda. He was specialized in flower still-lifes. 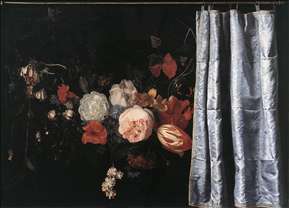 See more details about "Flower Still-Life with Curtain"